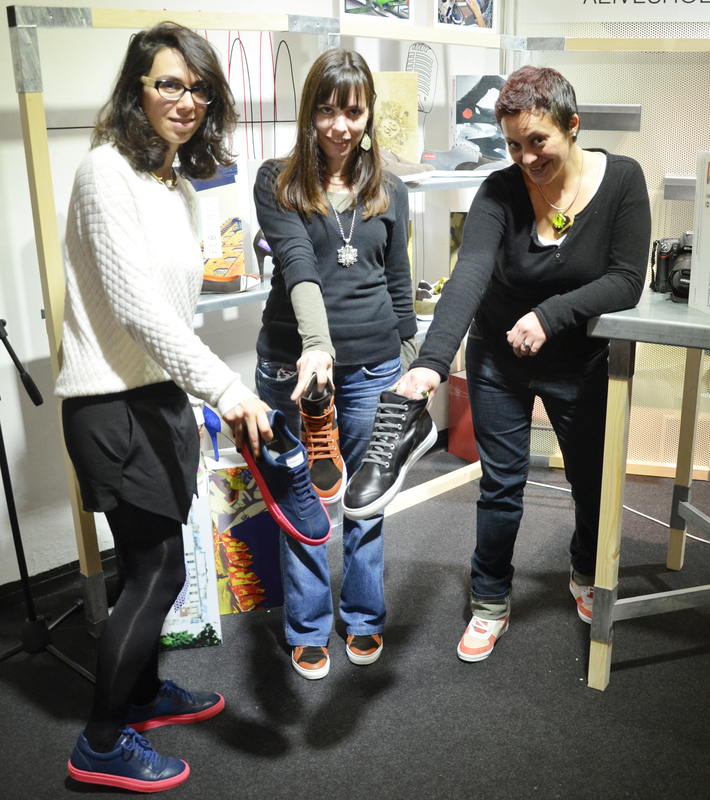 Luisa G Costa, Natacha de Smet and Fonteini Pagos share with us how to win it their way in the rather closed world of shoe making. LC: I’m from Porto, Portugal. As a little girl I knew that I wanted to learn how to paint and draw. I remember that I said to someone “when I grow up I want to be a painter”. I graduated at the Academy of Fine Arts in Porto. May other interest besides painting is music. My mother is a piano teacher and I always had contact with music. A few years ago I had the chance to study music and singing and now I’m a member of an amateur chamber choir that sings repertoire of contemporary music by Portuguese composers. NS: I'm Natacha,I'm 31, unemployed and creating is my bloodline.I'm in certain ways self-taught in arts. I enjoy designing,making jewells,drawing,painting,writing,playing theatre and music,singing... and the list goes on. I learned many things on my own,learning is one of my passion too. FP: I work and live in Paris, France. Currently working full time in a french fashion company created in the sixties :Courrèges. I manage their collection of shoes, bags, and small accessories. I've always been passionated about fashion, but my true love are shoes. 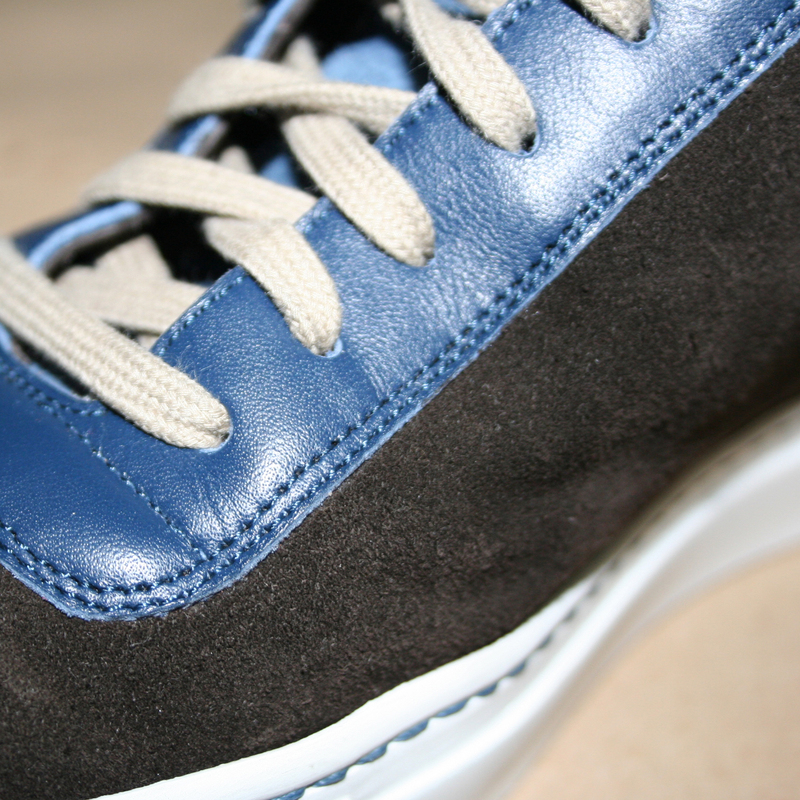 I created my own personal shoe brand on the Aliveshoes platform some months ago. V: What led you to Alive Shoes and what were you doing at that time when you discovered about ALIVE shoes? LC: I knew Aliveshoes through a friend of mine. 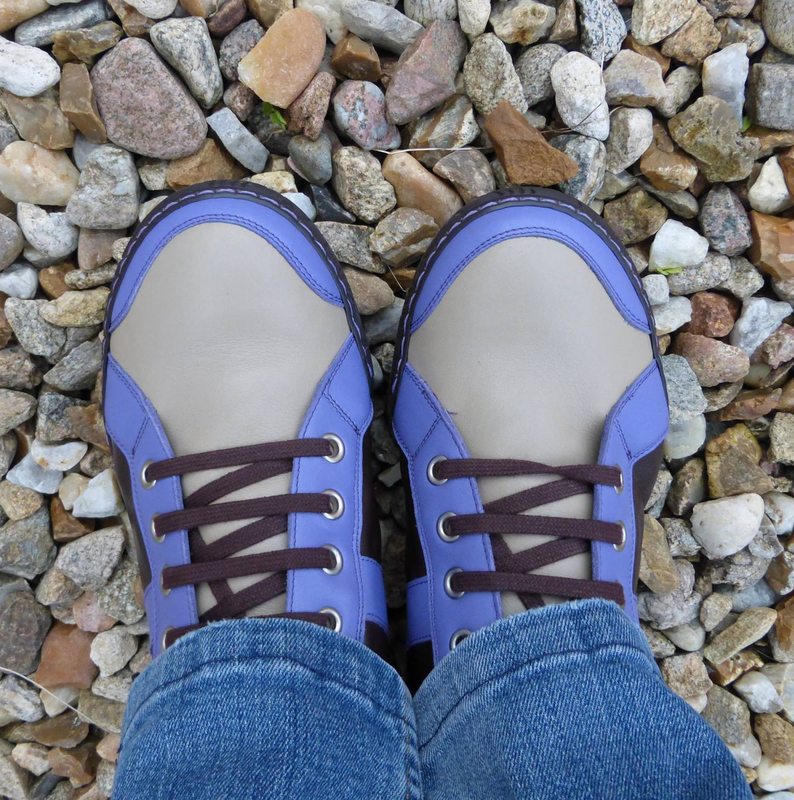 At first I was not sure about it because I don’t know how to make shoes and I know little about the shoe industry. But after checking the website and see how it simple it was to, I did apply to be a member and I created my brand Simply Make and started customizing shoes. 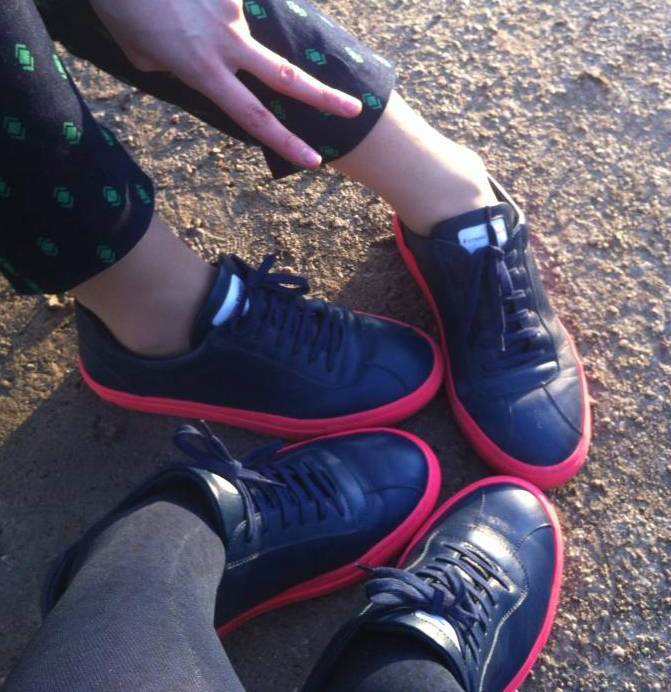 NS: I discovered aliveshoes by chance. I was looking for design contest on the web when i saw an ARTICLE talking about aliveshoes on Hellobiz. I said "let´s go! Even if i don't know anything about shoes, I like new challenges ! FP: It was coincidental that i found the Aliveshoes platform, my work contract was coming to an end so i surfed the internet, to look for a new project. [caption id="attachment_2133" align="aligncenter" width="671"] Design of Fonteine Pagos[/caption] V: When you joined Alive Shoes – what were your thoughts and wishes on how the project would turn out? LC:To be honest I didn’t know how the project would turn out. It is still developing and I’m still curious to know what’s going to happen next! NS: It was a new challenge, i just thought about giving all my best, and wished to be supported by my family and friends ...and they did! My objective was also to be in the TOP list, ...and to find a job FP: When i joined Aliveshoes, it was with a total surprise. I was not expecting anything, it all really started like a game, it was not a serious project for me, but just a side project to past my time. V: Your feelings and thoughts when you received a note from them to attend the Pitti Show LC: Gobsmacked! Really!! I never thought it could happen…It was the first time that I actually was in a fashion event. It was a very interesting experience for me. NS: At first i received a message from Luca Botticelli Aliveshoes Co-founder on facebook, telling me that he had a big surprise for me. I didn't think for a second it could be about attending Pitti Immagine as Alive Shoes representative. Luca asked me if i was free between the 4 and 7 of January, i said "yes". He then revealed to me that i was selected to go to Pitti Immagine... Woah... I could'nt believe it ...it was so unbelievable ! It took me several days to realize . I was as excited and as afraid : what an AMAZING adventure in a world, what a crazy experience! FP: I was so shocked that I couldn't answer anything for seconds. Working in the fashion industry, I knew exactly how important the event was!